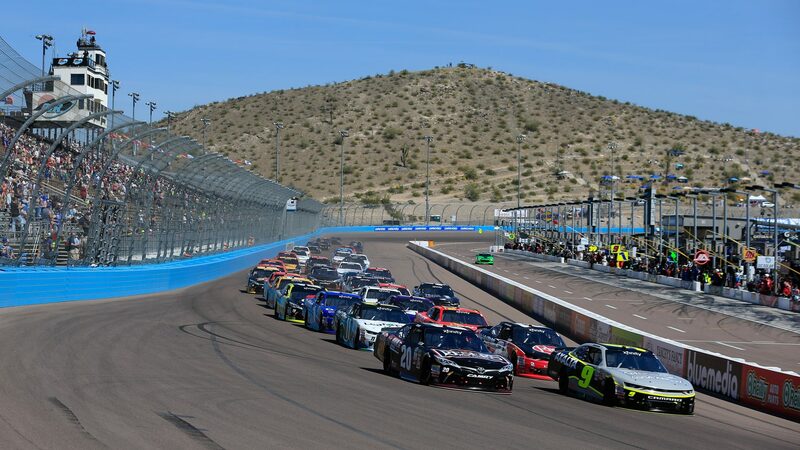 NASCAR will this weekend travel to Avondale, Arizona for a double header at ISM Raceway. NASCAR Xfinity Series and Monster Energy NASCAR Cup Series will race this weekend while the Truck Series is off. ISM Raceway (Ingenuity Sun Media), former Phoenix Raceway, opened for racing in 1964. The track is a dogleg tri-oval race track and is 1.6 km (1 mile) long. Surface is paved with four turns. Banking in turn 1 & 2; 11°, turns 3 & 4; 9°, backstretch; 9° and frontstretch; 3°. Track record, for NASCAR Series, is held by Jimmie Johnson with 143.158 mph in November 15, 2015. Most wins by an active driver at Phoenix Raceway is Kevin Harvick with 8 wins (30 races). The stands currently capacity are 51 000 seats. Bonus facts: The oldest race winner at ISM Raceway is Mark Martin at age 50 (2009). The oldest pole winner is also Mark Martin at the age of 54 (2013).